The Greek Political Thought: Plato and Aristotle. Ancient Indian Political Thought: Kautilya and Shanti Parva, Medieval Political concepts ; Church- State Relationship and Theory of Two Swords, Medieval Thought-: Machiavelli, Hobbes, Locke, Rousseau .Modern Thought; : Bentham, J. S. Mill, Hegel, Marx and Green. Contemporary Political Thought-I: Lenin, Mao, Gramsci. Contemporary Political Thought-II: Rawls, Nozic and Communitarians. Modern Indian Thought: Gandhi, M. N. Roy, Aurovindo Ghosh, Jay Prakash, Ambedkar, Savarkar. Concepts and Issue-I: Behaviouralism and Post-Behaviouralism,Neo-Behaviouralism, Post-Modernism, Concepts II-Decline and Resurgence of Political Theory. Democracy, Liberty and Equality. Comparative Politics and as a discipline; nature and scope(What is Comparative Politics, background, scope, new scope after world war IInd), Approaches to the study of comparative politics: Traditional, Structural-Functional, Systems and Marxist, communications, development theory, Institutionalism, new-institutionalism . Constitutionalism: Concepts, Problems and Limitations. Political Development and Political Modernization. Political Culture, Political Socialization and Political Communication, Forms of Government: Unitary-Federal, Parliamentary-Presidential. Organs of Government: Executive, Legislature, Judiciary-their interrelationship in comparative perspective. Comparative Study of foreign Constitutions- U.S.A.,Britain, Switzerland and India. Party Systems and Pressure Groups; Electoral Systems. Bureaucracy-types and roles. Political Elite; Elitist theory of Democracy. Power, Authority and Legitimacy. Revolution and Social movement : Theories and Types. Dependency: Development and Under Development. National Movement(1857-1947), Constitutional Developments and the Making of Indian Constitution. Ideological Bases of the Indian Constitution, Preamble, Fundamental Rights, Duties and Directive Principles of State Policies. Constitution as Instrument of Socio-Economic Change, Constitutional Amendments (101 constitutional amendment- July 2017) and Review. Structure and Process-I: President, Prime Minister, Council of Ministers, Working of the Parliamentary System. Structure and Process-II: Governor, Chief Minister, Council of Ministers, State Legislature. Panchayati Raj Institutions: Rural and Urban, their working. Federalism: Theory and Practice in India; Demands of Autonomy and Separatist Movements; Emerging trends in Centre-State Relations. Judiciary: Supreme Court, High Courts, Judicial Review, Judicial Activism including Public Interest Litigation cases, Judicial Reforms. Political Parties, Pressure Groups, Public Opinion, Media; Subaltern and Peasant Movements. Elections, Electoral Behaviour, Election Commission and Electoral Reforms. Development of Public Administration as a discipline; Introduction,6 phases of development, new concepts- New Public Administration, New Public Management. Approaches to the study of Public Administration: classical theory, Decision-making, Ecological and Systems; Development Administration. Theories of Organization Principles of Organization: Line and staff, unity of command, hierarchy, span of control, centralization and decentralization, Types of organization-formal and informal; Forms of organization; department, public corporation and board. Chief Executive: Types, functions and roles. Personnel Administration: Recruitment, Training, Promotion, Discipline, Morale; Employee-Employer Relations. Bureaucracy: Theories, Types and Roles; Max Weber and his critics. Civil servant-Minister relationship. Leadership, its role in decision-making; Communication. Financial Administration: Budget, Audit, Control over Finance with special reference to India and UK. Good Governance; Problems of Administrative Corruption; Transparency and Accountability; Right to Information. Grievance Redressal Institutions: Ombudsman, Lokpal and Lokayukta. Public Administration in Globalization era. Theories and Approaches to the study of International Relations; Idealist, Realist, Systems, Game, Communication and Decision-making, British School of Realism, structuralism, Post-Modernism, Power, Interest and Ideology in International Relations; Elements of Power: Acquisition, use and limitations of power, Perception, Formulation and Promotion of National Interest, Meaning, Role and Relevance of Ideology in International Relations. Arms and Wars: Nature, causes and types of wars/conflicts including ethnic disputes; conventional, Nuclear/bio-chemical wars; deterrence, Arms Race, Arms Control and Disarmament. Peaceful Settlement of Disputes, Conflict Resolution, Diplomacy, World-order and Peace studies. Cold War, Alliances, Non-Alignment, End of Cold war, Globalisation. Rights and Duties of states in international law, intervention, Treaty law, prevention and abolition of war. Political Economy of International Relations; New International Economic Order, North-South Dialogue, South-South Cooperation, WTO, Neo-colonialism and Dependency. Regional and sub-regional organisations especially SAARC, ASEAN, OPEC, OAS. United Nations: Aims, Objectives, Structure and Evaluation of the working of UN; Peace and Development perspectives; Charter Revision( Amendment proposal); Power-struggle and Diplomacy within UN, Financing and Peace-keeping operations. India’s Role in International affairs: India’s relations with its neighbors ( Pakistan, Afghanistan, Nepal and Bangladesh), Wars, Security Concerns and Pacts, Mediator y Role, distinguishing features of Indian Foreign Policy and Diplomacy, India’s relations with major powers – U.S.A, Russia, China and Japan. 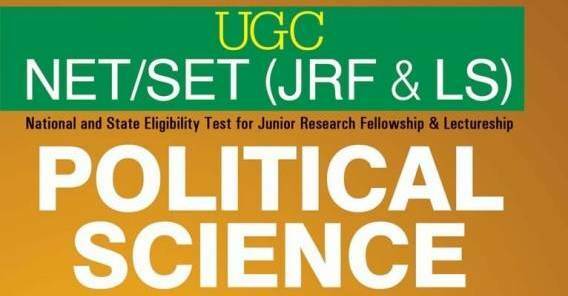 * Get the more regarding UGC NET from UGC NET JRF Assistant Professor Paper II Political Science Syllabus.